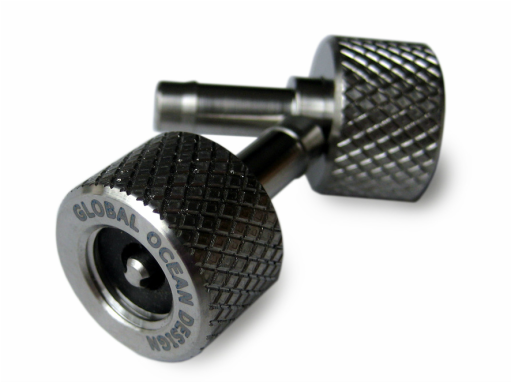 The DPB Purge Port Adapter Fitting (G-127) allows end users with their own preferred purge system to connect to the full line of Global Ocean Design self-sealing purge ports (101, 102, and 129). While we happily suggest you use the Model 125 Deck Purge Box, some researchers have their own tried-and-true methods. The purge port adapter fitting is precision machined Titanium, with a quality feel and a solid weight. We’re proud enough to engrave our name on it.